One of the most luckiest things I came across last week was getting a pasta machine from Kmart. Believe it or not. It’s 15 dollars. Here, you can’t get one without 100 dollars, or even 145 dollars from those classy department stores. I was too lazy and not motivated to make any fresh pasta until I got this new kitchen toy. There’s nothing wrong with using the ready made pasta from supermarkets, very quick and handy. 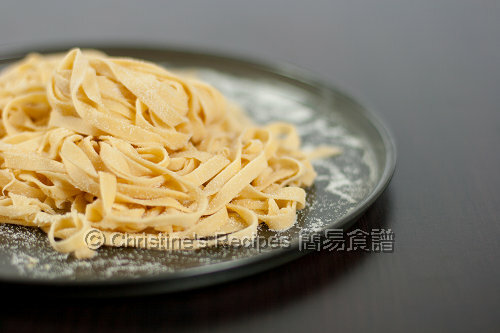 Yet nothing can compare with homemade fresh pasta, given you have a bit of spare time. The process is simple and easy. 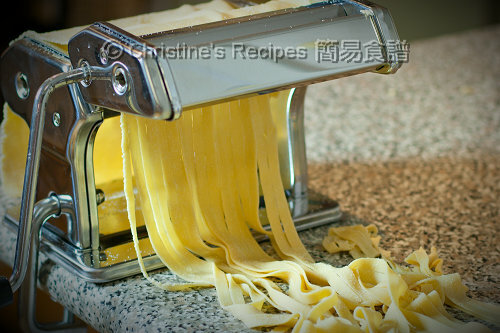 All you need is a pasta machine to help you roll out a dough made by 3 to 4 ingredients and cut them within a minute. By adding a small amount of Semolina flour that is commonly used in making pasta, you’ll enjoy delicious pasta with a hint of wheat flavour, light yellow colour and stretchy texture. Use a food processor, add flour and salt, then process a few seconds. Pour in the eggs and process until the mixture begins to come together. Transfer on a clean surface. Dust with the semolina flour. Knead until the dough is smooth. Divide into two equal portions and wrap in cling wrap. Refrigerate for about 30 minutes. Put the dough through a pasta machine according to the manufacturer’s instructions. Roll to your preferred thickness and cut. Set it on a clean tray liberally sprinkled with more semolina flour or plain flour/all-purpose flour to avoid them from sticking together. Gently toss the pasta through your fingers to separate it, then lay it on a floured tray while you cut the remaining dough. When you’re ready to cook the pasta, toss them in salted boiling water for 3 to 5 minutes, depending on how thick your pasta is. The pasta should be cooked through but still gives a sense of firmness. Remember to test by tasting yourself. 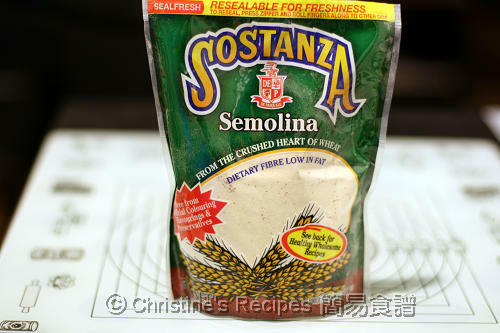 You can omit the semolina flour if can’t source it. And substitute it with plain flour for dusting. 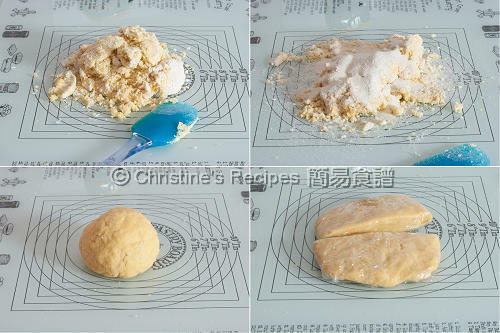 Keep the unused dough in moist. Throw the fresh pasta into boiling water at the last moment, then immediately plate this dish up. oh my. I love carbs, but they're my (thigh's) enemy. My daughters love making pasta with me. It's so much fun! your pasta looks perfect! this pasta looks fresh and good! Congrats on having a new member in you kitchen. Look at the pasta ... so good : )! That is cheap for $15. I got one many years back for $30. I love the idea using semolina flour, so healthy and looks perfect! The pasta looks great. I love my pasta machine too :)! Great buy! I have to use my pasta machine more often! Looks like I'll should not delay anymore in using my pasta machine too! I usually do it manually, not perfect but will do for me. So how did you get yours for $15? It is a steal! And homemade fresh pasta must be so good. Your pasta looks great - like you've been doing it for years! I'm really impressed how nicely rolled you got it and can't wait to see what you do with it. BTW, an Italian chef told me that you can dry the rolled out pasta on like a laundry stand and store it when it is completely dried - it will taste the same as fresh! That pasta makers sounds like a steal! Fresh pasta is always better and healthy! Yummy. Great looking pasta, so fresh too! What is GM is that grams . What is the equivalents to a cup. As my friend took the "g" as a number by mistake while she's browsing a recipe with her laptop computer, so I guess using "gm" would be better for my readers.